Dubai: Tech start-ups from eight major cities in the world will battle it out to produce the best tech government solutions in a start-up competition called “GovHack Series” launched by the UAE Government. Job forecast shows opening of new job opportunities in the UAE as well as a strong job market. A recent study points out that the Gulf job market is set to grow at an average rate of 9 per cent this year with healthcare continuing to expand in the region, thanks to a growing domestic population and a regulatory push to increase health coverage and expected surge in hiring in the sector. The competition is part of the GovTech Prize, a UAE government initiative that has been running for the past six years. Winners are awarded at a ceremony during the World Government Summit. 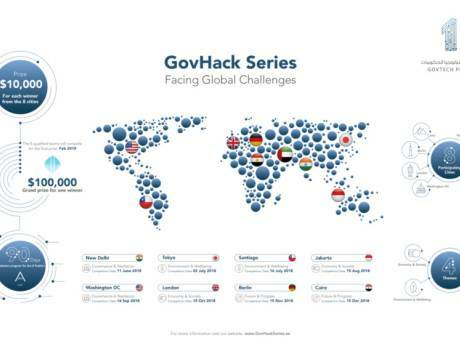 The GovHack Series will first take place in New Delhi, Tokyo, Santiago, Jakarta, Washington DC, London, Berlin, and Cairo from May until December 2018. The GovTech Prize is organised in partnership with the World Government Summit, Dubai’s Area 2071, world-leading business and government consultants McKinsey and Company, and in collaboration with the Washington-based start-up networking platform Union. The contest aims to find the world’s most creative tech start-up solutions to help solve global challenges facing governments. Mohammad Bin Taliah, assistant director-general for Government Services Sector and assistant director-general for Corporate Services Sector at the Prime Minister’s Office in the Ministry of Cabinet Affairs and the Future, said that the GovHack Series is an instrument that the UAE Government uses to support innovation in emerging technologies. These innovative initiatives strengthen the UAE’s status as a platform for forecasting the future of strategic sectors, and an incubator for creative ideas from around the world. “Launching the GovHack Series in eight major international cities is a new milestone, and a new achievement registered by the GovTech Prize in its mission to inspire individuals, governments and private entities around the world to innovate and deliver future-ready ideas,” Bin Taliah said. The theme for the competition is divided into four main categories: Governance and Resilience, Environment and Well-being, Economy and Society, and Future and Progress.